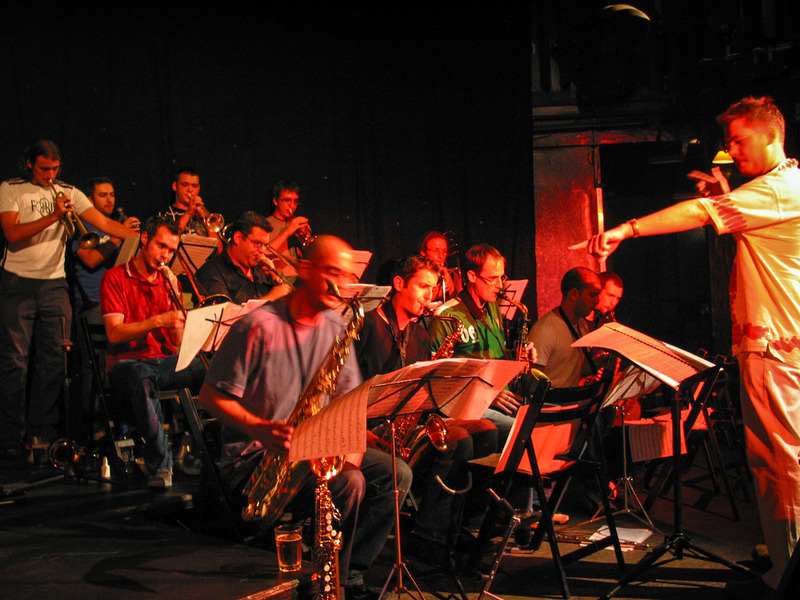 Combustible Alarms is a London-based 18-piece jazz orchestra lead by Chris Rodgers. Since its formation in 2004 the big band has been performing its unique blend of contemporary jazz in clubs around London. With influences ranging from free-jazz, rock and funk to Latin, flamenco, improvised music and more, this is original music by Chris Rodgers and Mons Ekstrom not heard anywhere else which encourages individuality and freedom of interpretation from the musicians whilst striving to maintain a tight orchestral ethic. Many of the musicians who play with the band have performed, toured and recorded with some of the biggest names in music and also lead and play in their own highly creative, award-winning projects on the London jazz scene. The band is currently on a sabbatical from performing in order to develop new material. To stay posted on upcoming events get in touch.